We get asked on to vessels on a daily basis to restore the gloss on the exterior paintwork. Captains, management companies and owners alike are looking for an alternative to paint if they don’t have the time or the budget for refinishing works. At a third of the cost of painting and a third of the time required with no associated costs for scaffolding, tenting and the removal and remounting of fixtures and fittings, ceramic coatings have become a very real solution. They offer longevity, durability, high-gloss and easy-cleaning properties, and have taken over from the polymer nano coatings that dominated the market 10 years ago. 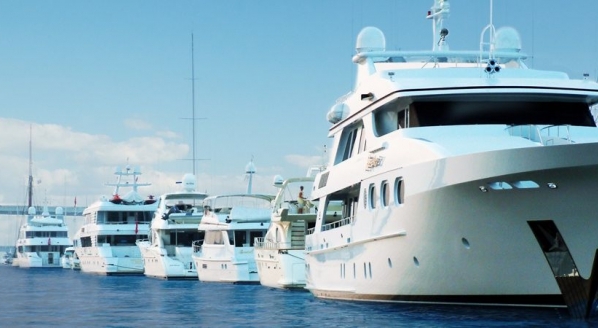 Over the past few years, we have seen an increase in companies offering so-called ceramic coatings to the superyacht industry, but there are very few manufacturers of true ceramic coatings that can address the harsh environments frequented by superyachts. There are companies around the world professing to have access to true ceramic-based coatings when, in fact, they are using off-the-shelf, so-called ceramic coatings from the automotive industry. These products can be referred to in various guises such as nano ceramics, polymer ceramics and low molecular polymer resins. Many companies rebrand them as their own and offer direct sales to crew and boat-detailing companies. There are also companies trying to establish themselves in the superyacht sector without the experience or knowledge about these coatings from a performance perspective. These may be suitable for the commercial sector but do not have the performance, durability or high standard that is needed in the superyacht industry. Ceramic coatings cannot be put into the hands of untrained personnel because there is a certain skill set required in their preparation and application; if not handled correctly the end result can be very unsatisfactory. We have experienced a number of cases where we have been called upon to rectify works that have gone wrong due to coatings being put directly into the hands of untrained crew or inexperienced applicators. Captains and management companies should carry out due diligence and background checks on companies claiming to be experienced with ceramic coatings before engaging their services. Certain questions should be asked. Does the company honour their warranty and do their coatings supersede the warranty period? How are the coatings removed? What warranty is given? Do they have recent valid testimonials from captains? How are the products applied? The ceramic coatings used on the exhaust areas of a vessel should have a 10-micron thickness. A coating such as this is applied using a roll and microfibre lay-off application method. 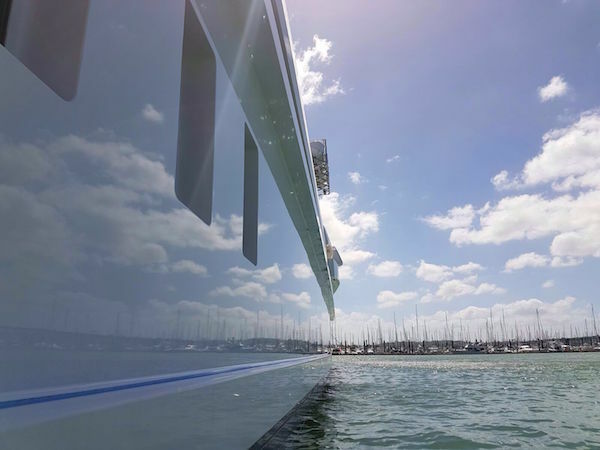 Hand-applied ceramic coatings are thinner in micron thickness and will not withstand the temperatures and emissions of the exhaust areas of a superyacht’s hull. Ceramic coatings need to be uniquely designed for the superyacht sector to allow for the harsh environments in which superyachts are operating and should only be entrusted in the hands of those with experience and training in its application and removal.